Cats are finicky. It's one of the rules of being a cat. If your cat has never tried catnip or any of our catnip blends - get our samplers! 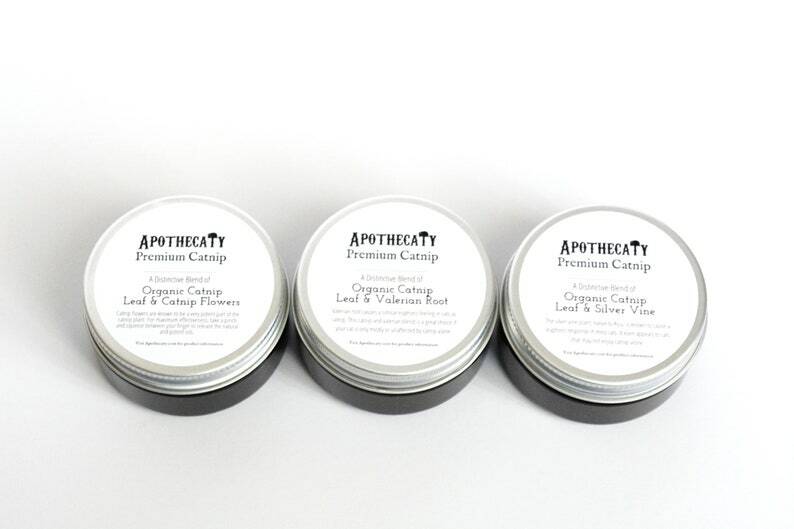 You'll get your choice of three or four of the smaller containers to try out before you buy a larger version. Smaller sizes means you'll have no regrets. After all, we all know that feeling of bringing home an adorable cat toy just to have your cat walk away from it, nose held high, as if to say "Why would you think I would play with such a thing, human!" The 1/4 oz containers are actually 2 oz amber jars with silver lids. 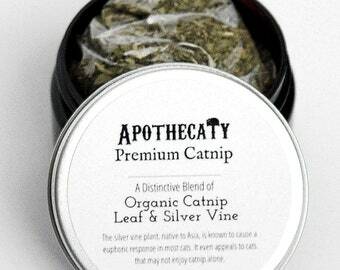 Each container contains roughly a 1/4 cup of catnip - a generous amount to try - but not too much in case your cat isn't impressed by any one of the varieties. How should I use the catnip? For best results, pinch some catnip between your fingers and crush the leaves to help release the potent oils. Sprinkle the catnip and silver vine blend where your cat likes to play! If you cat doesn't react to catnip and silver vine, try one of our other catnip blends! Catnip and valerian root is grown in the USA. The silver vine is from Asia. Each variety is available in two sizes - 1/4 oz. and 1 oz.